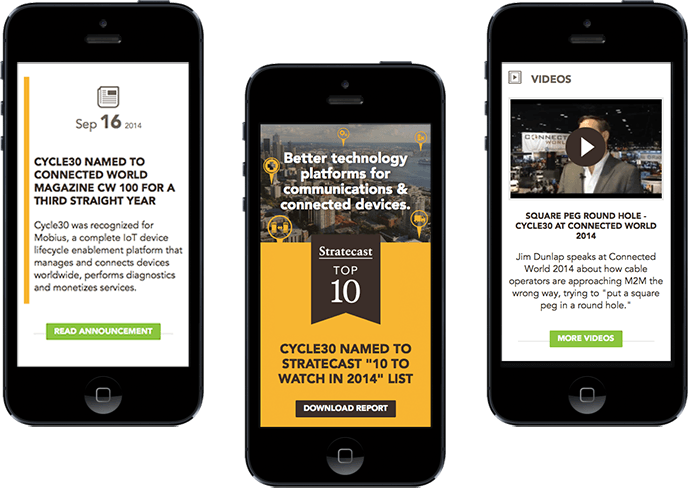 In 2013, Cycle30 started expanding its B2B technology platform to new markets and needed to reflect this change to its offering. At the same time, the mobile web had increased the demand for mobile-friendly content. Daylight had proudly launched the company’s first site and updates, and we jumped at the opportunity to modernize the Cycle30 web presence while repositioning its products. Our goal was to make the site responsive on all types devices while presenting the right product and benefit information to visitors. The Daylight team threw out old wireframes and sketched fresh, "long-page" designs more conducive to the modern browsing experience. Navigation had to be large, simple and intuitive. As a customer-focused company, Cycle30 had great employee and customer/partner testimonials already captured on video. So we retired any remaining stock photography and refreshed the site with new photography of real employees and partners. We tapped our friends at Conveyor to help complete this project with content management, production and editing. 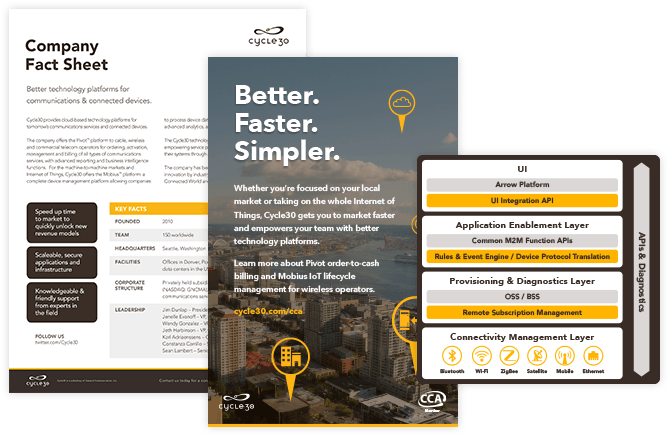 We launched the Cycle30 site with the latest version of FUEL CMS to support the dynamic forms of video, text, social and image content for Cycle30, and created modules within the CMS for Conveyor to manage and publish ongoing content for the brand. In addition to the responsive design for any device, Daylight's technology team made sure the site looked smooth and clean at any screen resolution by employing SVG files and icon fonts. Running on FUEL CMS, the Cycle30 site handles several different content modules in its "resources" section, including assorted news coverage, announcements, videos, blog posts. 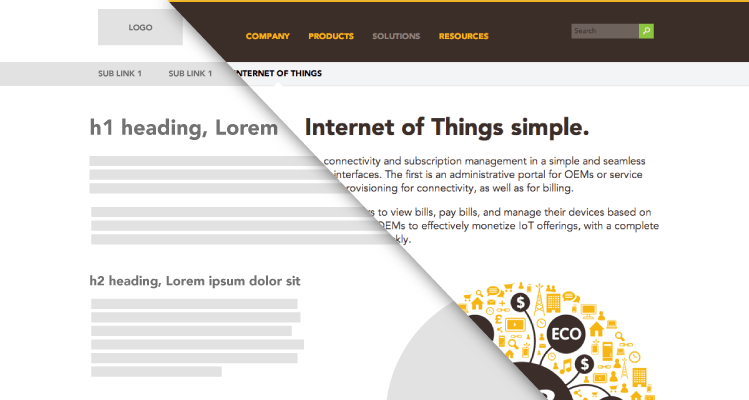 This lets the client bring different content together on the resources page, while giving each module its own style. The site went live in early 2014 in time for the client's busy season of global trade shows and media events. As expected, the analytics show increasing numbers of mobile device users accessing the site from the client's inbound marketing efforts such as search, social, email, and other tactics. 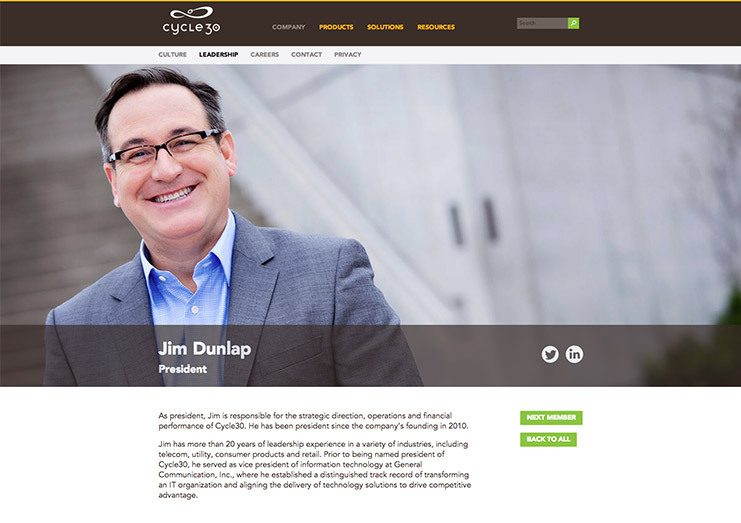 We were glad to be a part of the reinvention of the Cycle30.com experience.